Until a few years ago, digital video streaming was synonymous with the company that successfully pioneered the service – Netflix (NFLX). As the popularity of the path-breaking entertainment medium grew, several new players hit the market offering viewers a plethora of services to choose from. While Netflix continues to dominate the over-the-top (OTT) streaming arena unchallenged, the sector is undergoing a paradigm shift owing to the widespread emulation of the company’s business model by the new entrants including traditional cable TV service providers. 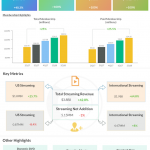 Netflix’s phenomenal growth since its inception a couple of decades ago continues to surprise many market watchers, especially those who undermined the company’s prospects in the early stages. With more than 100 original movies to its credit and operations spanning 190 countries, Netflix stays far ahead of its closest competitors, if at all there are any. The California-based company has been pumping in billions of dollars for asset purchase and promotional activities, mostly funded through bank loans, all along setting new milestones in its transition from a DVD distributor into an all-in-one entertainment company. In recent years, the battle for market share intensified with more internet and television-based streaming services joining privately held media firm Hulu and the mighty Amazon (AMZN) Prime Video to challenge Netflix’s supremacy. Even as these subscription-based streamers vie for a bigger pie, free-to-stream platform YouTube is also finding it difficult to sustain its subscription base. Going forward, the Alphabet (GOOGL) owned channel will have to fight it hard to match the OTT service providers who keep on upgrading the content quality and slashing prices. Then comes listed companies like Roku (ROKU), radio streamer Pandora (P) and Swedish music distribution platform Spotify (SPOT) who always stay on the toes to live up to the expectations of shareholders and constantly innovate their offerings to enhance viewership. It goes without saying that the divided market share causes significant viewership overlap, making it difficult to put things into perspective. The massive adoption of OTT services has also given rise to strategic partnerships between various service providers, with each trying to outsmart rivals by clinching the most lucrative deals that would attract a maximum number of viewers. The hectic activity has brought the sector to a point where subscribers of internet-based video services have outnumbered cable TV users. When it comes to monetizing content, companies have recently been focusing more on ad-based video-on-demand to tackle cost escalation. The fact that Netflix is in more than $8 billion of debt, probably the only negative point on the company’s balance sheet, gives a sense of the high costs involved in content acquisition. Statistics show that the number of OTT video streaming subscribers will reach about 170 million by the end of 2018, marking an 11% growth from last year. By 2022, the number is estimated to rise to 198 million. In the long term, subscription growth will be complemented with emerging trends such as the use of artificial intelligence to personalize and reschedule linear TV content as per the viewers’ preference, customization of OTT advertising based on digital feedback and high-speed data transfer technologies like 5G. Meanwhile, the fragmented OTT landscape that requires users to subscribe to multiple services to access their favorite shows and the high churn rate associated with it remains a challenge for both customers and companies. Maintaining a steady uptrend over the past several years, Netflix shares set new records consistently and hit an all-time high in June. 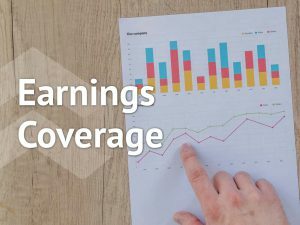 They suffered a tremendous loss last month after the company reported below-consensus subscriber numbers for the second quarter. The slump stretched for nearly one month before the stock started regaining momentum in mid-August. 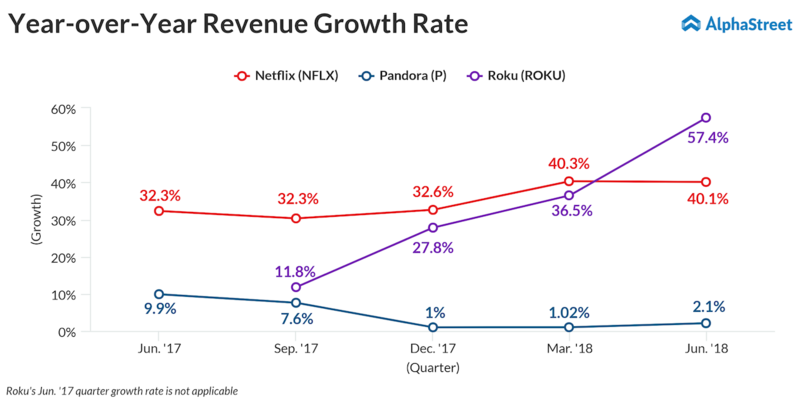 While making all-out efforts to attain profitability since going public about a year ago, Roku’s shares have maintained a steady upward trajectory as it continues to expand subscriber-base. 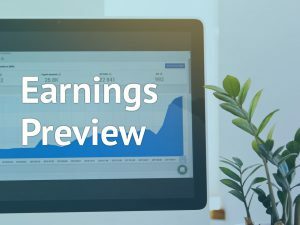 The stock made a sharp gain earlier this month when the company reported positive results for the second quarter and went on to hit a record high last week. The relatively low-priced Pandora has been losing momentum steadily since it hit a record high about four years ago. Investor sentiment is being dragged by the company’s lackluster performance in recent years in terms of viewership. The stock made some substantial gains after the company came up with impressive results for the second quarter. Painting a bright picture of the sector Pandora represents, a recent survey revealed that streaming services accounted for about 43% of music revenues last year.